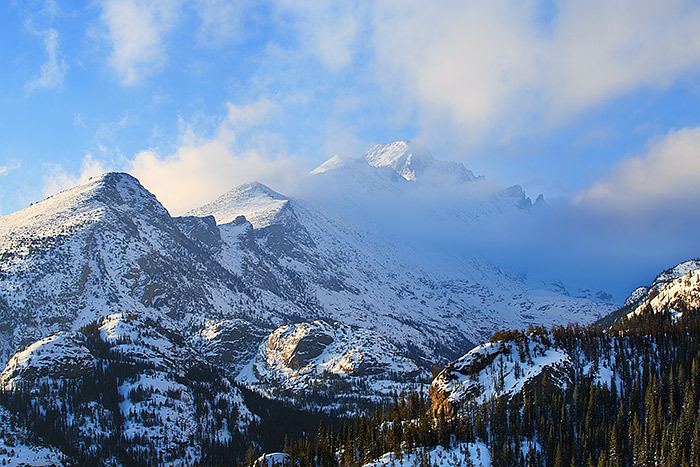 Clouds rise and swirl over Glacier Gorge and Longs Peak on a cool spring morning in Rocky Mountain National Park. Heavy spring snows still cling to the summit of Rocky's highest peak and the combination of clouds and cool lighting enhance the mood. Photo © copyright by Thomas Mangan.